Ian McDonald is South America's equivalent of Robert Frost; a poet writing in a young country who, with an open heart and in clean, honest language, has set down its characters and events, its landscape, traditions and myths, for future generations to discover. Readers far beyond the Caribbean will come to admire his deft use of dialect; his nature poetry, steeped in the mysteries of the Guyanese interior; his sobering awareness of mortality. 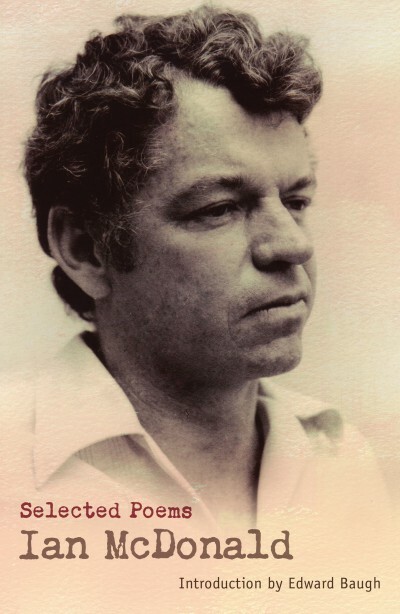 This selection by Edward Baugh, published for the poet s seventy-fifth birthday, sets the poems from McDonald's four collections in chronological order for the first time. As Baugh writes in his introduction, Ian McDonald's verse is irradiated by his celebration of life, his gratitude for happy days and for earth's bounty of joy. About the author: born in St. Augustine, Trinidad, in 1933, Ian McDonald was educated at Queens Royal College, Port-of-Spain, and Cambridge University. Since 1955 he has lived in Guyana and worked in the sugar industry, recently retiring as CEO of the Sugar Association of the Caribbean. A tennis champion, he captained Cambridge and subsequently Guyana and the West Indies in the Davis Cup and played at Wimbledon. In 1984 he became editor of Kyk-Over-Al. He has edited, jointly with Jacqueline de Weever, The Collected Poems of A. J. Seymour and, jointly with Stewart Brown, Poems by Martin Carter. He was awarded the Guyana Prize for Literature in 1992 and 2004 and an Honorary Doctorate of Letters from the University of the West Indies in 1997. He has been a Fellow of the Royal Society of Literature since 1970. He has published short stories, four poetry collections, and his play The Tramping Man is often staged. His award-winning novel The Humming-Bird Tree was first published in 1969; in 1992 it was made into a BBC film. Edward Baugh is Emeritus Professor of English at the University of the West Indies, Mona. He has published books and numerous critical articles on West Indian literature, and in 2007 edited The Selected Poems of Derek Walcott. His poetry collections are A Tale From the Rainforest (1988) and It Was The Singing (2000).